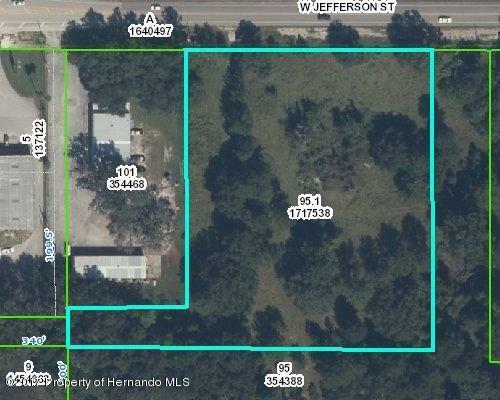 Mixed use development site 3.4 AC fronting south side of Jefferson just west of Brooksville. Located in Brooksville city limits. Beautiful large oaks create a park like setting. 2 other parcels available. Key # 00354388 (price $310,000) and Key #01717547 (price $606,000). The price of all 3 parcels is $990,000.